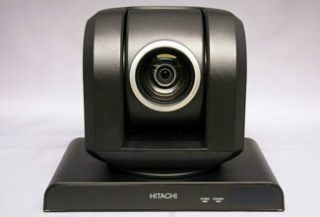 The new PTZ camera series from Hitachi's Digital Media and Security Solutions group support video conferencing, video recording, and net broadcasting for houses of worship. The PTZ series offers monitoring on screen with 2.07 million effective pixels, as well as 1920x1080 resolution. The line also offers adaptive noise reduction for large worship spaces and low-light shooting, and allows users to daisy chain up to seven cameras to eliminate the need for multiple-control cables. The PTZ series also offers 32 preset memories for pan/tilt/zoom and other settings using the remote control unit, and up to 127 presets using external control via RS-232C or RS-422. Various digital video interfaces are available, including 3G-SDI, HD-SDI and DVI-I. The PTZ series includes six models: the VZ-HD3600A; VZ-HD3650A; VZ-HD3700A; VZHD3780A; VZ-HD4000A; and VZ-HD4900A. The 3600/3700 series cameras feature a 10X optical zoom lens with full HD, while the VZ-HD4000A and VZ-HD4900A models use a 25x optical zoom lens.